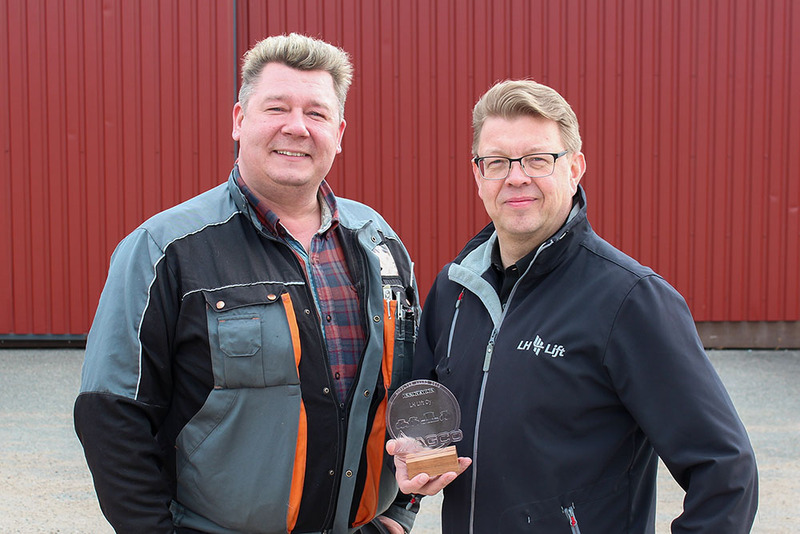 LH Lift Oy, a leading supplier of implement couplings for tractors, has received the AGCO Corporation’s Innovation Award. AGCO is a global leader in the design, manufacture and distribution of agricultural equipment and the parent company of Valtra. LH Lift has been a subcontractor for the Finnish tractor brand for over 40 years. “Three point linkages have changed little in decades, and there have been no major innovations in the industry. 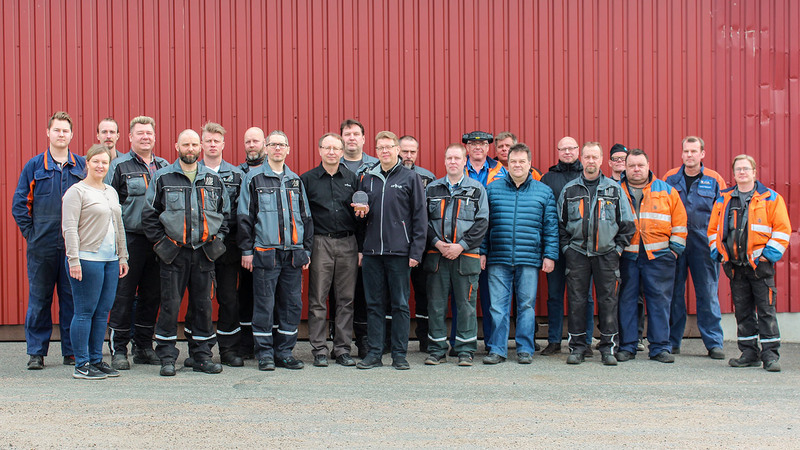 That’s why our hemispheric ball solution for attaching implements, its international patent and unveiling on the Valtra T Series have attracted a lot of attention,” says Kari Piltonen, Managing Director of LH Lift Oy. Product Manager Timo Viikki and CEO Kari Piltonen rejoice at AGCO Corporation’s Innovation Award. The hemispheric ball coupling is now in series production on lower link arms and lift rods for the Valtra T Series. In addition, it can also be used on top links. Hemispheric ball couplings are easier to manufacture and more durable than traditional ball ends that are used to attach implements to tractors. The traditional method is to machine a cavity in the ball end, insert the ball and then enclose the ball by compressing the metal around it. LH Lift’s innovation utilises two hemispheric balls that are inserted into a tempered ball seat, allowing the use of significantly stronger material. The new attachment method has proven to be much more durable, easier to manufacture and flexible for the customers than the old method. “The award demonstrates that Finnish subcontractors can succeed amid tough international competition. Our other innovations have also been awarded in the past, such as the LH Link pivoting front linkage at Agritechnica,” Piltonen adds. 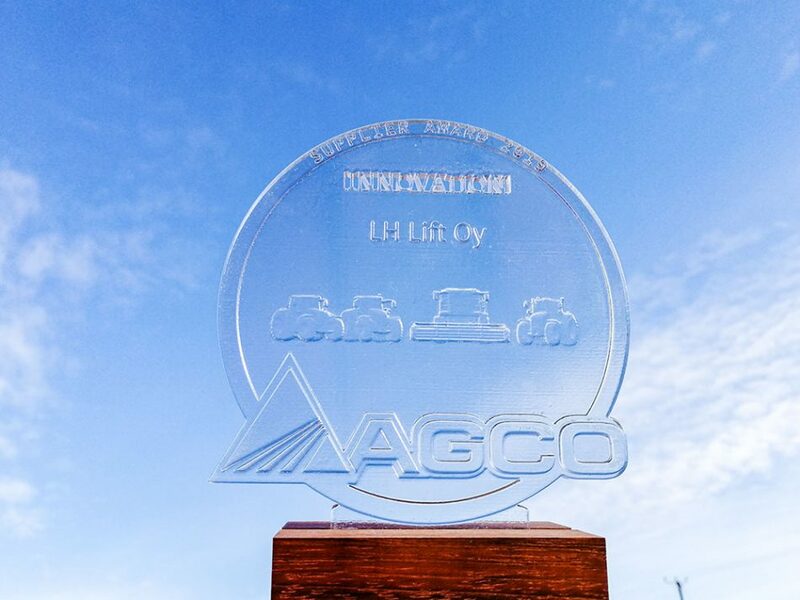 The AGCO Innovation Award was presented at its Supplier Day event for the European and Middle East region in Budapest, Hungary, at the end of March 2019. The event was attended by 300 of AGCO’s main suppliers from its 3000 suppliers in Europe. Behind the international Innovation Award lies the know-how of the whole staff with goal-oriented attitude.